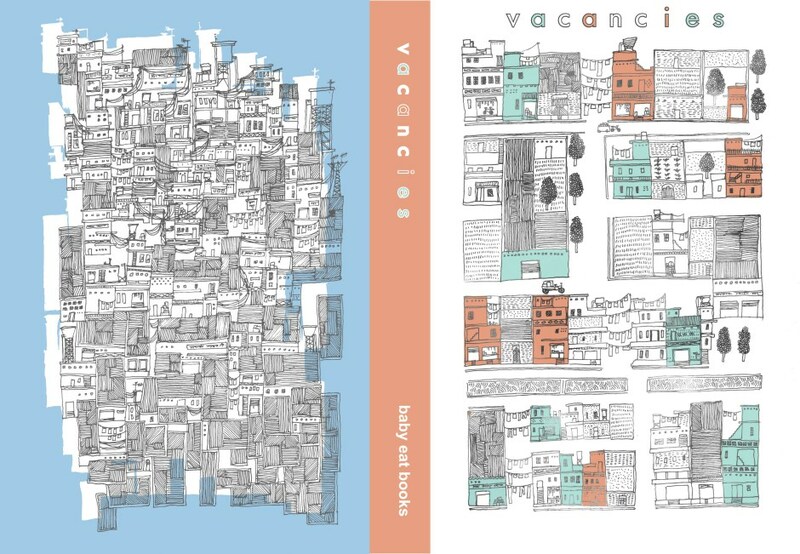 Happy to share that one of my fictions, “To Have Done with the Division of Moving Bodies,” will be published in VACANCIES, Heavy Feather Review‘s upcoming double-issue. Thanks, Jason Teal and Nathan Floom! John Madera: Would you talk more about this “webbing” that connects everything with everything, about reality as a text? Lance Olsen: Maybe our real job as writers, I sometimes want to say, perhaps even as human beings (with the accent on the plural noun), is to continuously learn to pay attention to the world we move through. Yet the world—which is to say how we’re wired—plots against us. Our default mode of being often wants to be the habitual, which is to say the unexamined, which is to say our default mode of being-there wants to be not-being-there. What’s astonishing and invigorating for me about what I consider difficult art—a sentence, say, in Ben Marcus’s Age of Wire and String or Gary Lutz’s Stories in the Worst Way; the architectonics of David Lynch’s Lost Highway; the complexity of any two seconds of a text-film by Young-Hai Chang or corner of Hieronymus Bosch’s Garden of Earthly Delights—is that it seeks to return us through challenge to attention, which is to say contemplation. In other words—and this eases us toward a tentative answer to your second question about reality’s textuality—paying attention is a continuous condition of learning (and unlearning) how to read. The world is nothing if not a text composed of a multitude of texts (just as each of us is nothing if not a text composed of a multitude of texts) we try to make sense of, narrate, and, as Derrida reminds us, there is nothing outside the text. But here’s the deep-structure dilemma: humans are by nature story generators, pattern recognition machines, designed to tell what the world has done to them. Give us an incident, no matter how enigmatic, indeterminate, or tenuous its causes, and we will narrate in order to generate the hopeful, desperate impression of coherence. We are built to strong-arm links, invent causal chains that don’t exist. Give us a bedlam of stars and we’ll birth Sagittarius. This instinct is what Nassim Nicholas Taleb refers to as the narrative fallacy—that common intellectual blunder of forcing chaos into cosmos in an attempt to account for what eventuates around us and to us and through us. 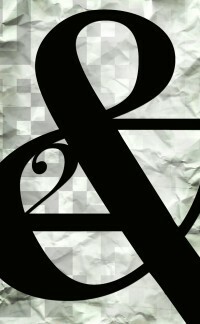 My Fiction Published in The &Now Awards 2: The Best Innovative Writing! 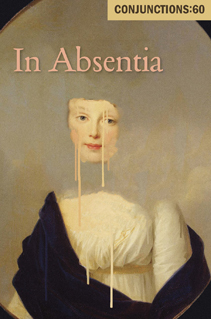 One of my fictions, “Spectral Confessions and Other Digressions,” has been published in The &Now Awards 2: The Best Innovative Writing, edited by Davis Schneiderman (&NOW Books). Happy to be in such fine company: David Shields, Craig Dworkin, Alexandra Chasin, Amelia Gray, Kathleen Rooney, Laird Hunt, Michael Leong, Matt Bell, Bhanu Kapil, Alissa Nutting, Brian Evenson, Andrew Borgstrom, Kim Hyesoon, Antoine Volodine, Johannes Göransson, Kate Bernheimer, Jesse Ball, J. A. Tyler, Amber Sparks, Joyelle McSweeney, and many more. 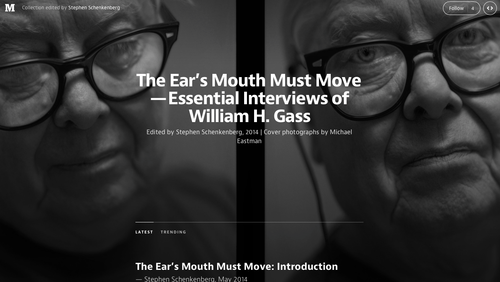 Full Interview with William H. Gass Now Available! Check out the entirety of my career-spanning, 25,000 word-long, interview with William H. Gass at Rain Taxi: Review of Books!